The promise of leadership potential has been lost. Too often organizations cling to exclusionary potential practices that leave them with dried-up talent pools. Find out how your company can surface, activate and accelerate potential across individuals and teams throughout the organization. Learn to focus development on high-value, transferable skills that get all associates in the game faster and enable them to quickly adapt to changing business challenges. Leave this session with a completely new strategy to really unleash all potential—the collective genius that delivers financial value beyond what each individual contributes. Conduct an audit of your organization’s leadership potential strategy. Assess and alter your training strategy to surface, activate and accelerate potential to meet the new business context. Accelerate development to get more people in the game faster. Build transferable skills that enable employees to become more agile. As vice president of global practices at DDI, Janice works cross functionally on the creation and launch of new capabilities and the implementation of expert models for assessment and development. She has led teams of instructional designers, writers, editors, graphic designers, technology specialists and video editors to design and build training programs in multiple modalities for leaders around the world. 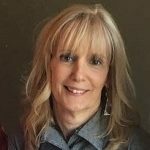 She is an experienced presenter on a variety of topics, including the design of learning journeys, blended learning, virtual classroom and simulation development. Janice has worked with global clients in many industries, including professional services, manufacturing, health care and technology.